Fulfilling the Obama administration’s goal for its resettlement program, the United States will grant asylum to its 10,000th Syrian refugee this week. According to the Daily Intelligencer, the year-old program has ushered in 25 times the refugees permitted to cross U.S. borders in the previous fiscal year. Half have been under the age of 18. In the next day or so, several hundred will depart Jordan for the United States after passing the screening test. Alice Wells, the U.S. ambassador to Jordan, reports that this group’s numbers will achieve the country’s goal. 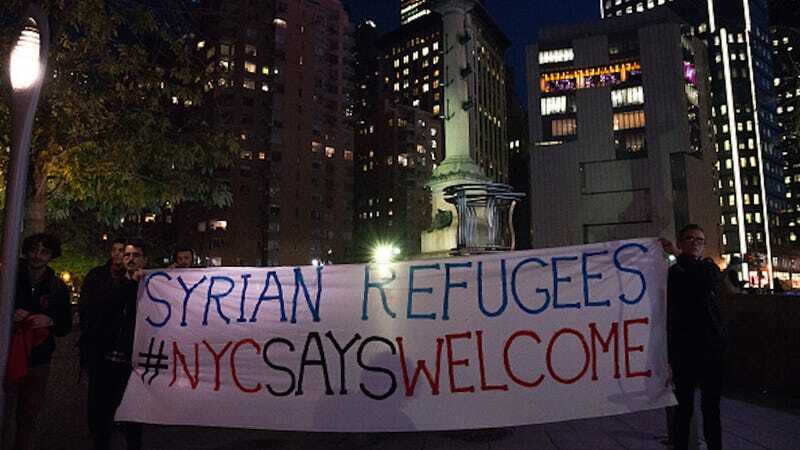 A number of conservatives have called this refugee resettlement program into question, with some of the loudest protests voiced by Republican presidential nominee Donald Trump. But hundreds of people seeking asylum have been denied entry to the U.S. after unsatisfactory background checks. Syrian refugees are subjected to especially severe screening, and no evidence points to terrorists having slipped through the cracks. Although the U.S. celebrates this benchmark, it’s small potatoes in the grand scheme of things. Over five million Syrians have been forced to abandon their homes in the midst of conflict, with 660,000 displaced to Jordan alone. Far more humanitarian aid will be required for those who cannot return to their war-ravaged country.